Managing a team’s permissions and access to sensitive customer and payment data in an increasingly complex payments world has traditionally been complex and difficult. With new payment methods entering the market and different providers providing different logins with different permissions, managing an organisational-wide policy has been difficult… until now. 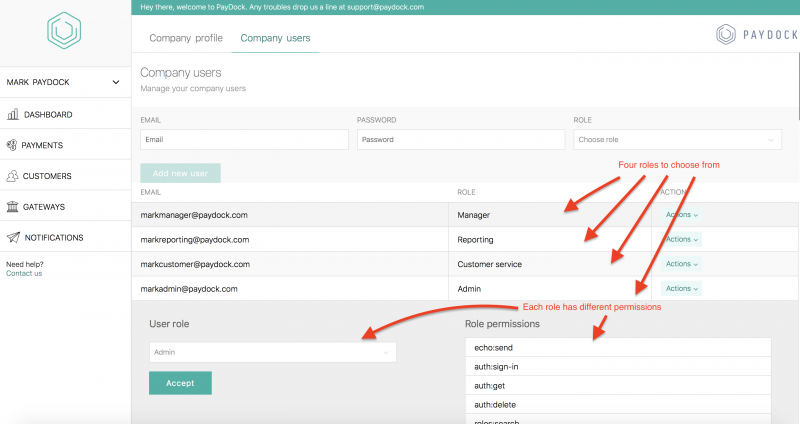 You can now add multiple users on the PayDock platform and grant various permissions for each user. For existing clients, this feature has already been turned on and activated on your account at no additional cost. There are four new permission levels: Admin, Manager, Customer Service and Reporting. This is the full access permission which has no restrictions on capabilities. This is normally reserved for the business owner or an administrator of your platform. The login used to create the account is granted admin permission by default. 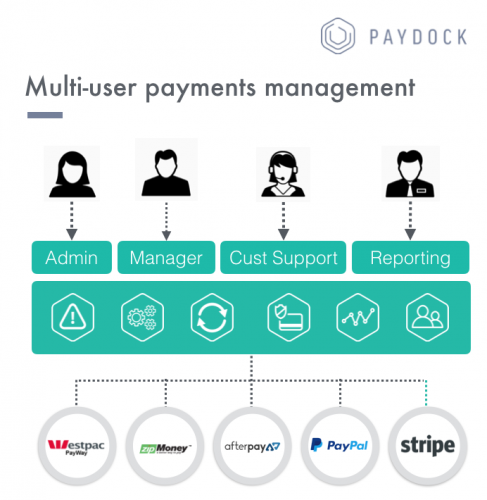 This role gives you full control on the payments through PayDock such as creating charges, subscriptions, notifications and drive refunds. This role is designed for someone in accounts or sales where they need control of the transactions but without some of the admin permissions. This is for your support service centre with the ability to edit customers information, get status on existing transactions and perform refunds. 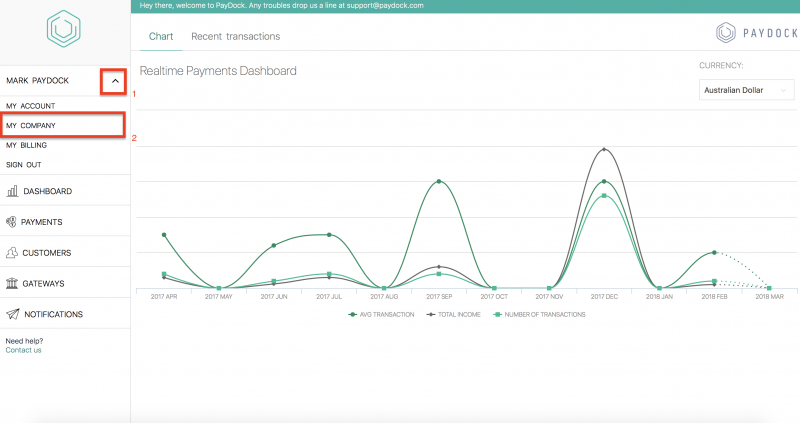 There is no ability to create any new transactions or add customers inside PayDock, only modify existing records. This permission allows your bookkeeper or accountant to view payments and customers information with being able to download the results into a csv. Some other applications of this role could be sales managers needing to create reports or even allowing future investors to get real live data of sales through your platform. This function can save the task of exporting the data and sending it manually. How to access this new feature? 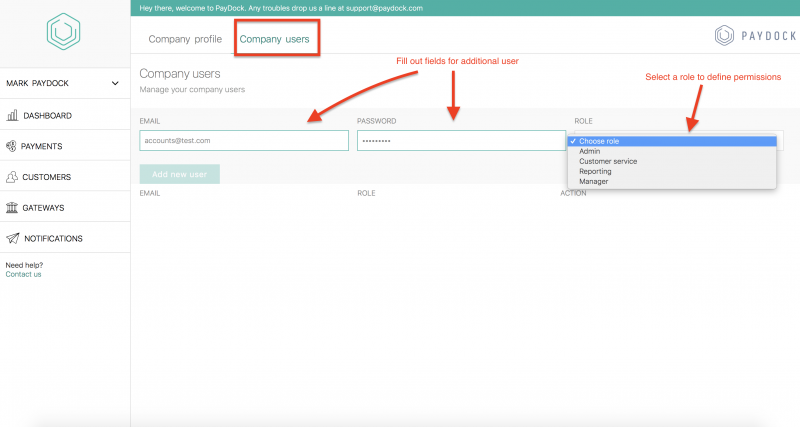 For more information or help on how to set this up please contact support@paydock.com.